Turkey has long since taken center stage, and it was most likely there at the First Thanksgiving. But venison was the main item on the menu thanks to the Wampanoag. I am not a foodways historian, let’s clarify that first. And there have been plenty of articles written on this subject before, so I’m really not trying to add anything new with this one. Those matters notwithstanding, it is interesting to give a little thought, on this evening before Thanksgiving, to what the Pilgrims and Wampanoag ate during that harvest celebration in the fall of 1621. The term “harvest celebration” is important here. I have no problem with people making reference to the “First Thanksgiving”–I use the term myself, all the time. But, due to the occasion, let’s be precise here and point out that the Pilgrims did not call it that. The term “thanksgiving” was certainly in their vocabulary…but it signified a very different type of event. 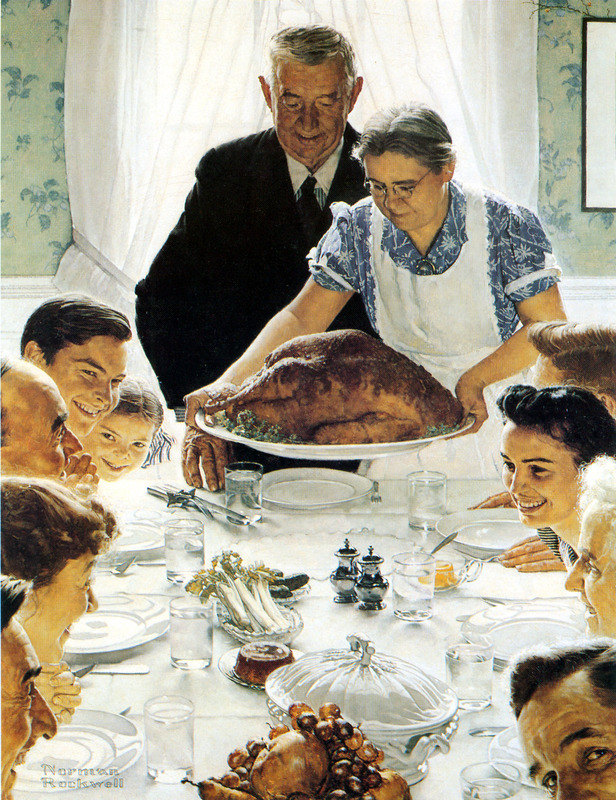 Governor Bradford’s use of the word “Thanksgiving” had nothing to do with the now famed harvest celebration. In his Of Plymouth Plantation, the first mention of a day set apart for Thanksgiving was in response to the seemingly providential rain showers that saved the harvest of 1623. To the Pilgrims, a day of Thanksgiving was a day for solemn prayer. Not for games, military exercises and feasting as took place during the 1621 event we all know about. So, what we call the “First Thanksgiving” was really a secular harvest celebration, rooted in long-standing English tradition. I say secular because its origins are so, but given their beliefs, any celebration on the part of the Pilgrims would certainly have involved prayer. …Our harvest being gotten in, our governour sent foure men on fowling, that so we might after a speciall manner rejoyce together, after we had gathered the fruits of our labours ; they foure in one day killed as much fowle, as with a little helpe beside, served the Company almost a weeke, at which time amongst other Recreations, we exercised our Armes, many of the Indians coming amongst us, and amongst the rest their greatest king Massasoyt, with some ninetie men, whom for three dayes we entertained and feasted, and they went out and killed five Deere, which they brought to the Plantation and bestowed on our Governour, and upon the Captaine and others. And although it be not always so plentifull, as it was at this time with us, yet by the goodness of God, we are so farre from want, that we often wish you partakers of our plentie. They begane now to gather in ye small harvest they had, and to fitte up their houses and dwellings against winter, being all well recovered in health & strenght, and had all things in good plenty; for as some were thus imployed in affairs abroad, others were excersised in fishing, aboute codd, & bass, & other fish, of which yey tooke good store, of which every family had their portion. All ye somer ther was no want. And now begane to come in store of foule, as winter approached, of which this place did abound when they came first (but afterward decreased by degrees). And besids water foule, ther was great store of wild Turkies, of which they tooke many, besids venison, &c. Besids, they had about a peck a meale a weeke to a person, or now since harvest, Indean corn to yt proportion. Which made many afterwards write so largly of their plenty hear to their freinds in England, which were not fained, but true reports. To the above, we can add some conjectural menu items based on studies of English kitchen gardens of the 17th century and indigenous foods that were likely introduced to the Pilgrims by the Wampanoag. These foods include carrots, onions, squash, pumpkins, beans, lettuce, chestnuts and various herbs. Although not specifically mentioned in the accounts of the First Thanksgiving, they were probably there. But no mashed potatoes, alas. And perhaps worse, no cranberry sauce. I seriously considered this year preparing a meal with venison as the main dish. And some nice, boiled mussels. But I think my daughters would be most unhappy with me. I’ve opted for turkey instead. Have a wonderful Thanksgiving and may you have numerous blessings to count with family and friends!